A pretty plant, this ruellia has velvety oval leaves up to 3in/8cm long. 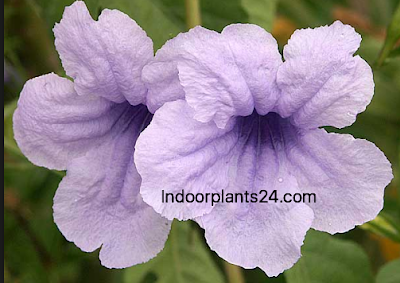 They are soft olive green, tinged with purple, and have prominent silver veins and purple edges; the undersides of the leaves are also purple. In fall and winter, beautiful 2-in/5-cm-long- trumpet-shaped carmine flowers, which flare out to some 2V2in/6.5cm wide, grow singly from the axils of the leaves. 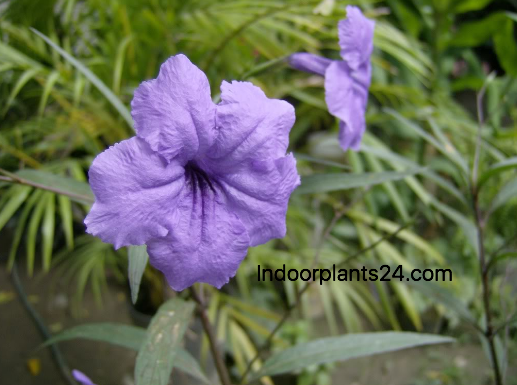 Ruellia makoyana is an excellent plant for indoor hanging baskets and is sometimes known as trailing velvet plant. HEIGHT: Stems trail to 18in/46cm. POTTING MIX: Soil-based and leaf mold in equal quantities, with some added grit or perlite. REPOTTING: In spring, when roots fill the current container, move the plant to one a size larger. PROPAGATION: Take 3-4in/8-10-cm-long tip cuttings in spring or summer; alternatively, sow seed or divide mature plants in summer. KEEPING PLANTS: Pinch off the growing tips regularly to encourage bushiness. The plant should last for 2 or 3 years. Watch out for aphids, which often infest the plant. 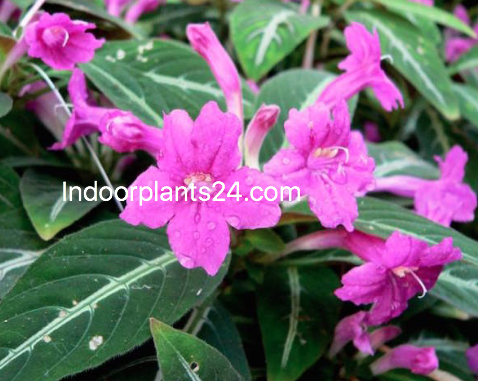 Water well during the flowering period, but allow the surface of the soil to dry out before rewatering. Water just enough to keep the plant from drying out for 6-8 weeks after flowering. 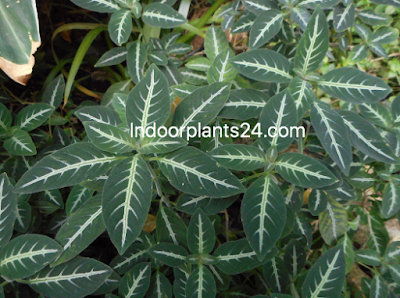 Mist the plant frequently to maintain humidity. Apply a standard liquid fertiliser every 2 weeks between spring and fall.